During winter, your outdoor living and alfresco areas become unutilised for weeks or months, depending on where you are in Australia. For it to remain functional all year round, it requires a source of heat. Outdoor fireplaces or fire pits can provide the warmth you need. Either one of the two also serves as a lovely focal point in your space. 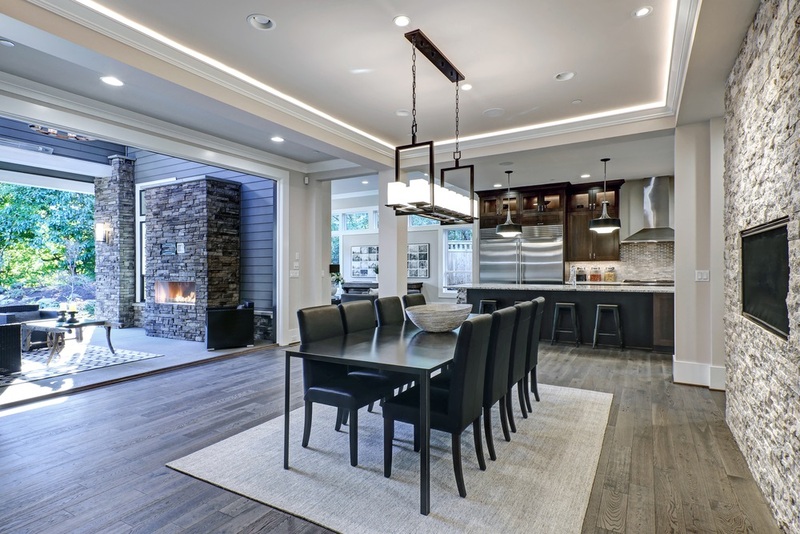 The building codes vary depending on where you’re building the structure and whether you’re opting for an indoor or outdoor fireplace. ☑ If the smoke from your outdoor fireplace or fire pit can disturb and harm your neighbours. ☑ The distance between your fireplace or fire pit and the nearest vegetation, residential, or commercial structure. It is important to hire a designer who knows and abides the local building codes. That is the best and fastest way to get council approval. Fireplaces are box-shaped and have a chimney. It can be constructed from a wide variety of building materials. You can build it directly or order it pre-made and have it installed on site. This is perfect for permanently warming up your outdoor living area. Fire pits, on the other hand, are bowls that contain the fire. It’s great for toasting marshmallows or simply huddling around the fire. It can be sunken or free-standing. Whichever you choose, we recommend that you include a cosy seating near or around the fire. 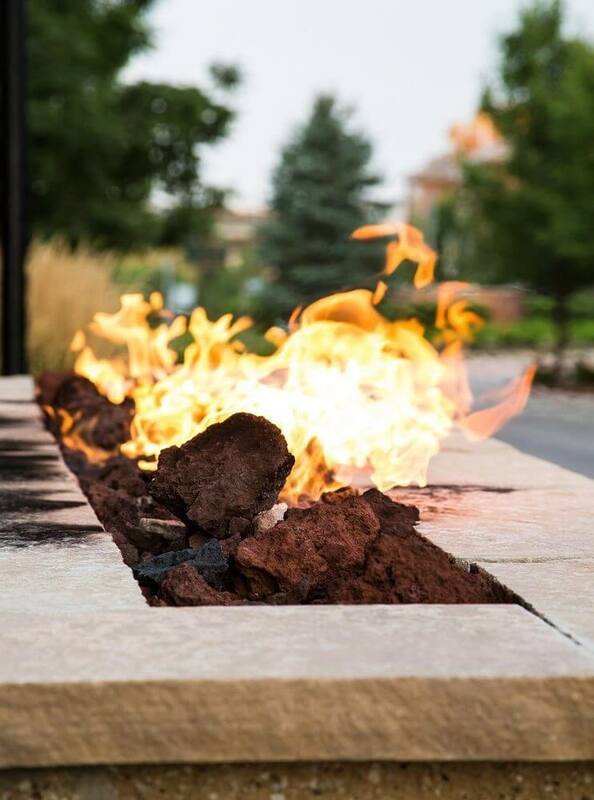 There are a lot of options when it comes to fire pits and fireplaces and that makes it hard to choose. First, installing a permanent source of heat requires a lot of commitment. You will enjoy your alfresco for a long period of time. This option also offers more material choices. Use that advantage to build a stunning architectural feature. Let it be the focal point of your outdoor living space. On the other hand, a portable one allows you to move the fire around your property. You can hide movable fire pits and fireplaces during summer when it’s not needed. Think about the location of permanent fireplaces and fire pits thoroughly. You don’t want to regret this decision in the future. Changing it will be costly. First, identify whether you want a free-standing or an attached structure within your outdoor living area. Then, decide on how you want to do your seating. The go-to method is to station a couch or a bunch of chairs near the heat source. It’s flexible, you can change the layout every season or for a specific occasion. You can also design a built-in seating. Some designers extend the hearth of the fireplace to create a ledge that you can sit on. Some build seats around the fire pit just so you can feel the heat. If you’re planning to have built-in seating in the fireplace, make sure that it will work when the fireplace is not in use. If you’ve been window shopping for fireplaces and fire pits for a while now, we bet that you’ve seen a lot of designs and building materials used to create this structure. Homeowners who prefer the pre-made ones can purchase steel and cast-iron fireplaces and fire pits. You can use it directly or you can put it inside a stronger fireplace structure. You can also build fireplaces and firepits from concrete, stone, or brick. These materials have a high thermal mass, therefore it can hold heat well. It will remain warm even after putting out the fire. A masonry fireplace, when attached to one of your walls, can also warm your home from the outside. Gas, wood, and biofuel—these are the three types of fuel used in Australia’s outdoor fireplaces and fire pits. Each one requires a specific installation to support the burning conditions. This is a matter of personal preference (how much warmth your outdoor space needs), however, the homeowner must consider the council’s opinions. In some states, the council suggests the type of fireplace which suits the home better. ☑ Wood is a lovely fuel. Homeowners can’t resist the crackle from the burning wood, as well as its flickering orange glow. It’s the one that produces the highest heat output. However, it takes a long time before it produces a flame and may produce an irritable amount of smoke. It’s also messy. ☑ You need to follow a lot of strict requirements of the fuel supply and ventilation before building gas fireplaces. That turns off most of the homeowners, but if the council requires it for your home, you need to comply. ☑ Biofuel such as ethanol has the lowest heat output of all the three fuel choices. 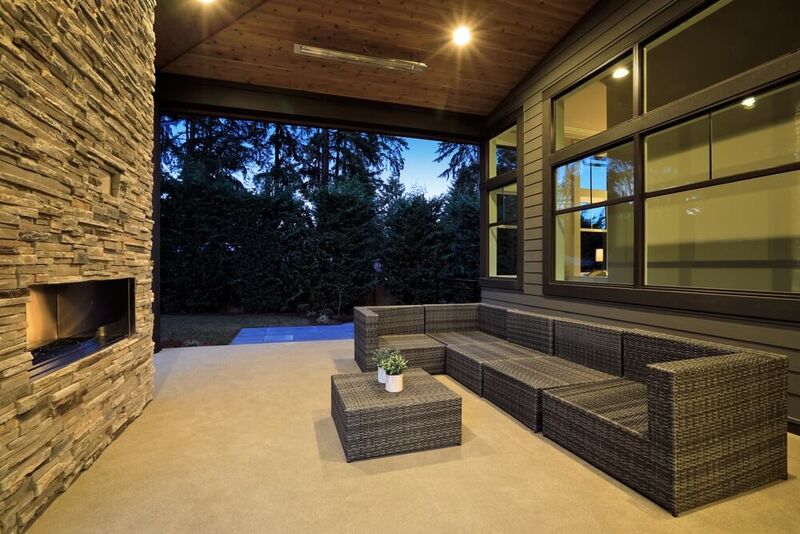 Upscale your current outdoor living with the addition of fireplaces and fire pits. It’ll be a fun experience to gather around the fire on a winter’s day while toasting marshmallows and drinking a warm beverage. We can help you start planning the project so you can enjoy a warmer and cozier alfresco in the winter.